We wholesale sunglasses (70% of business) and small ware novelty items to convenience and gas stores. 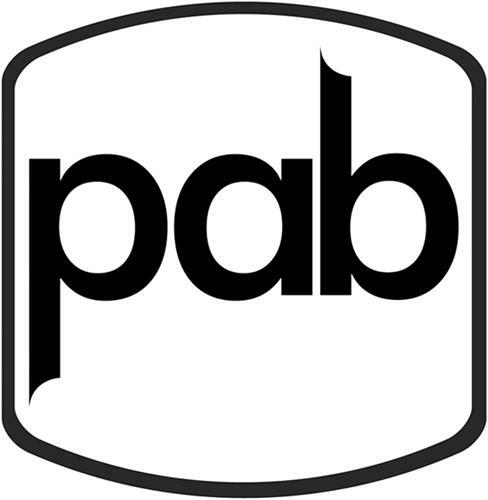 On Thursday, November 20, 2008, a canadian trademark registration was filed for the above pictured logo by PAB Wholesale Inc. 1675 Hwy 69, P.O. Box 195, Pointe Au Baril, ONTARIO, CANADA P0G1K0. The Canadian IP office has given the trademark application number of 1419026. The current status of this trademark filing is Interruption of proceeding. The trademark is filed in the description of We wholesale sunglasses (70% of business) and small ware novelty items to convenience and gas stores. .
(4) Quadrilateral figures with one or more convex or concave sides -- Note: Not including elongated surfaces with one or more convex or concave sides (25.3.1). (1) - We wholesale sunglasses (70% of business) and small ware novelty items to convenience and gas stores.